Ideas for Primal activities for one person or the whole family. Get outside the box. As the year kicks off it’s inevitable to see new years resolutions posts all over the web by bloggers and news corps. This year Whole30 and Paleo has been ranked as the worst diet you could follow. Don’t believe them – I lost over 30 lbs a few years ago and have maintained my weight on the Primal/Paleo/Perfect Health Diet. Without bogging you down with yet another post about how to start a New Year’s resolution or how to follow Whole30 or how to start the Primal Blueprint 21 Day Challenge – I just wanted to keep this short and sweet with 3 tips you can generally apply at the beginning of the year to help you start off on a better foot than you may have been on in the past. If you’re really serious about a structured plan I suggest you check out Whole30 or The Primal Blueprint 21 Day challenge. 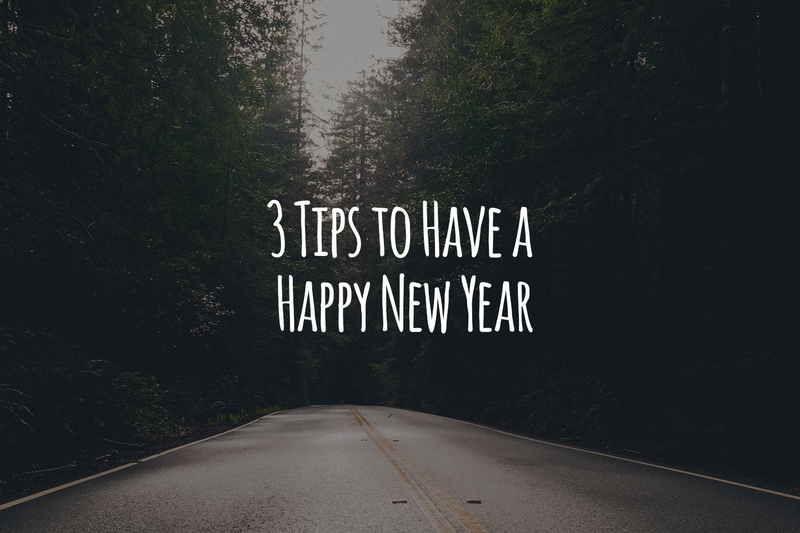 I however just want to lay out 3 simple tips you can apply for the new year. We can get into specifics if we wanted to about what to eat by reading this or this but just keep this as a general rule as you’ve probably seen the hashtag #JERF – Just Eat Real Food. If you apply this principal to the food you eat this year, I guarantee you’ll be better off than you were the year before. What’s real food you ask? Well, it’s not Doritos taco shells from Taco bell, it’s not McDonalds, it’s not 99% of the stuff on the inside rows of the grocery store. Real food is all those veggies and fruits in the produce section and it’s all that meat at the meat counter. Just stick to real food this year and you’ll have a happy new year. The fitness tracker market has blown up like crazy with Fitbit, Apple Watch and Android Watches tracking our every move. But all these really are telling us is that we aren’t moving enough. When we live in a society that generally consists of people sitting in cars, to go sit at a desk to sit back in a car to sit on a couch then to lay on a bed – when is it that people are moving?! Check out this post about how to move more and just keep telling yourself this year to do those things like park further away, take the stairs, take a walk after dinner, go on hikes on the weekend, etc… We were made to move so don’t fall into the trap where we just sit in boxes all day. I was really having to think to myself what are the top 3 priorities of my health and sleep just has to land here (with getting in the sun as a close tie). Sleep plays such a huge part in our lives (obviously) and I’ve written about it here and so have these people. But nevertheless we need to take sleep as a priority this year. The recommended amount is 7–9 hours. If you really look at how much sleep you get every night does it fall into that range? For myself it’s really tough to get that amount of sleep every night but I want to really work on it this year because of how huge of a role it plays in our health and I hope you place it as a priority as well. There it is guys, I hope you read through this in less than 5 minutes, but that it sticks with you all year. It’s simple: JERF, Move, Sleep. Happy New Year everyone. Summer is upon us. Hopefully you’re enjoying it and taking the time to enjoy your family and getting out in the sun. 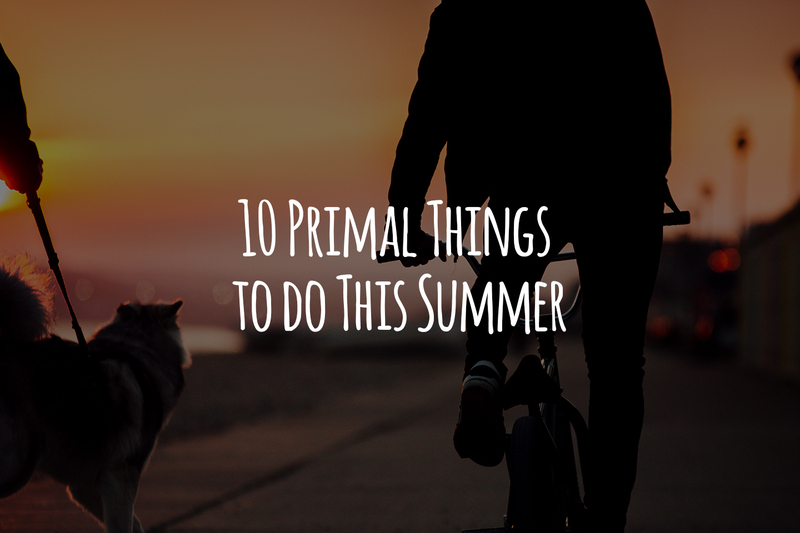 But for those of you having some trouble trying to break away from the routine and really get into the spirit of summer – I’ve compiled a list of 10 primal things to do this summer. Some of them may seem pretty simple and obvious but if you take the time to do them I guarantee you’ll build some fun memories and you’ll get out in the sun and hopefully unwind a bit. Pretty obvious one right here but you should make some time to dip in a pool or go to the beach. Whether you have a pool or your family has a pool or you go to the public pool. Try to just get wet and cool off and have fun with the kids or turn it into a workout. Mark Sisson wrote a timely post last week about the importance of swimming. Swimming is my preferred “moving” workout as I go about three times a week to a public pool near my work. I love it. You should try it too. If you have kids they’ll love doing this one, but even if you don’t have kids this can still be something fun to do. Plan it for a night that isn’t too hot and just pitch a tent in your backyard or try to find a state park. You can use this as an excuse to just chill outside and cook some good food over a fire and maybe play some card games near the campfire at night. Even if you missed the Great American Campout – you can still camp in your backyard anytime! Not sure if splash pads exist everywhere, but they do where we live. My wife has been taking our toddler to the splash pad during the day and she loves it. It’s a good way to break up your day and let the kids run around and tire out! Just google areas around you that have splash pads as they are normally free and a great way to cool off during the summer. I’ve never gotten into smoking food as I’m normally too impatient – and because I like to rely on my Dad’s method for doing ribs. But recently I’ve bene experimenting with a combination of his recipe and smoking in my Weber. It’s something fun to do on the weekends as you get to spend a little extra time outside around the grill. You don’t need to have a fancy smoker either. Just look on youtube for tutorials on how to do it. I’ve been experimenting with some wood chips my parents got me using my Weber. It’s simple and adds great flavor to meat. Our garden has been going crazy since about April but even if you don’t have a garden you can pick up something from Home Depot and start taking care of it. Whether its flowers or a box of herbs. Growing something is a great way to get outside the house after work and enjoy some sun. Plus you’ll have super fresh herbs for spaghetti or honey roasted veggies. Here’s another one that the kids will love or even if you don’t have kids – adults can still have fun with this too. Buy some chalk and just go to town outside. You don’t have to be a great artist or anything just have fun drawing pictures like you used to do when you were a kid. Our toddler likes drawing with chalk outside — or likes it when I draw Disney characters for her. Some of our friends threw some chalk paint on their wall in their backyard and their kid loves it. I’m always pushing hiking. It’s a great way to get moving and to get outdoors. It doesn’t have to be a gnarly hike either, just try to find some trail local to you and head out with a buddy, kids, spouse – and just enjoy the time outside. Maybe try to plan this one for a day that’s not blazing outside, or plan it into the evening so you can see the sunset. Nothing wrong with naps. Take a nap inside. Take a nap outside. It’s summer. Relax. There are numerous health benefits of napping. A short nap from 20–30 minutes will leave you feeling rested and alert. Read more about the health benefits of napping here and start napping. Not sure if drive ins still exist everywhere anymore but there is a nice one close to where we live. Plan an evening to go out to a drive in if you have one near you. They’re the perfect summertime thing to do because the weather is nice and kids are out of school. Be sure to bring your own primal snacks or even homemade popcorn (#notpaleo). I have a hard time finishing books. The funny thing is I read a million things online but I read very little books. I want to challenge myself to read at least one book for summer and I want to challenge you too. Could be a physical book or something on a Kindle. Whatever works for you. You could start with this book or this book. Hopefully you found some of these ideas inspiring. 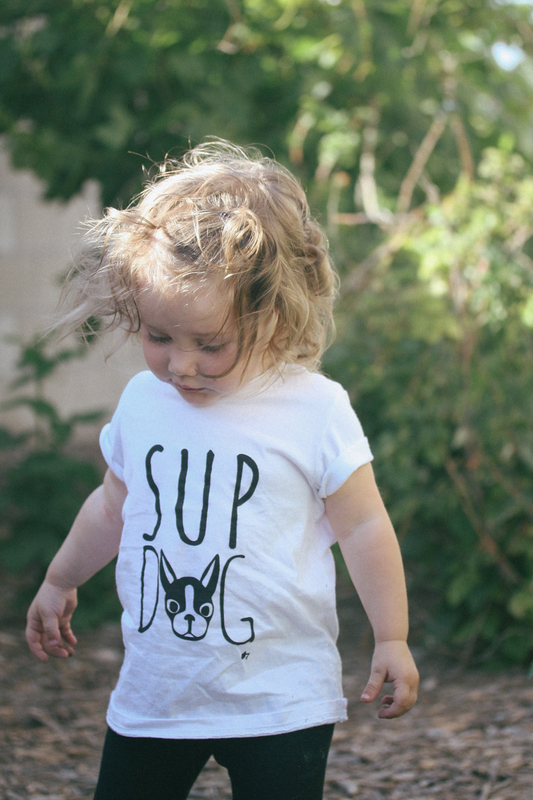 They’re pretty simple things to do and I think they’ll be fun for you and your whole family. Feel free to let me know in the comments what you’ve been doing over summer to break away from the routine and get outside! When we first moved into our house we were so excited to have such a big backyard that one of the first things we did was run to Home Depot to get stuff for a backyard garden. 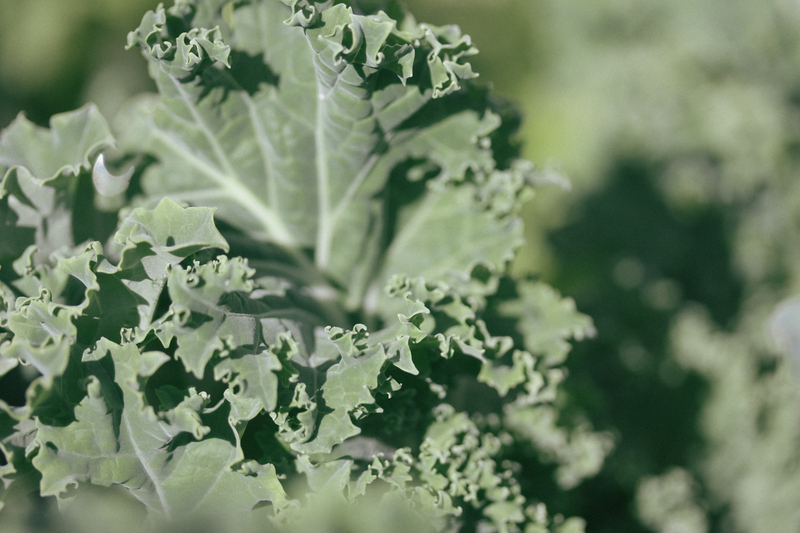 A backyard garden is a great way to get in the sun and dirt and switch up your daily routine. We have been doing a garden for the past few years and I’ve learned a few things along the way that I wanted to share. Granted I could still learn way more, but these are just some things that seemed to stick out over the years of trying to operate a little backyard garden. Most of my help comes from this book which is specific for my area of Southern California. If you’re not in Southern California try to find a guide specific to your area. So whether you already have a garden or would like to start one, here are 7 tips I have for running a mini farm in your backyard. When we first got our square foot garden going we made 3 boxes. 2 shallow boxes and 1 deep box for root veggies. It was a great learning experience but I soon realized as our crops started to grow that I didn’t really like most of the stuff I was growing. Sure it was nice to experiment growing and eating things that are new, but it’s hard to be devoted to a whole garden if you don’t even like the stuff growing in it. So this year when we got our garden back up and running, I decided to only plant the things that we were going to eat. So we have a whole box for herbs, another box for veggies, and our deep box for roots that was taken over by our daughter so she could plant flowers. The veggie box only has the stuff we eat and is easy enough to grow in the backyard: kale, romaine, summer squash, spaghetti squash, butternut squash, watermelon and pumpkins. Sure there are other veggies we love to eat like cauliflower, but it takes so much time to harvest and it only yields one head of cauliflower – whereas we go through too much cauliflower to try to grow it in the backyard. The crops we did plant are perfect to pick off when you need them and they still keep coming back. This was a lifesaver for us and our crops. When we first started our garden 3 years ago we were going out there everyday with a watering can or hose and it became very stressful if we missed a few days and our crops would start to suffer. Especially when we went on vacations for a week or more at a time – our crops were destroyed by the time we came back. So I hit up my dad for help to install a drip line and it was super easy to run soaker hoses and a timer. Now our garden is hands free and flourishes even when I fail to give it attention. Now just because you have a drip line doesn’t mean you shouldn’t check out your garden everyday. It’s always good just to get outside and get in the sun, especially if you’re stuck in an office all day looking at a computer, but more than that you need to check to see how your crops are doing. There may be snails tearing up your romaine or there can be those scary green worms attacking your tomatoes. You need to be out there everyday killing all those things that aren’t good for your garden. You don’t want to resort to spraying your precious beyond organic crops with something to ward off bugs – so you and your fingers need to be the “pesticide”. Just pinch them and kill them or if you’re a hippie you can collect them and release them in a field or something. I prefer to pull the snails off my romaine and throw them as hard as I can at the wall. I get angry when snails ruin my burger buns or taco shells. This one is a little controversial because even if you don’t use pesticides in your backyard garden, your soil or municipal water may contain contaminants. What we’re looking for here is some of the good soil based probiotics to still remain on the crops. So go ahead and wash off the snail juice that’s all over your romaine or bird poop on your squash, but don’t freak out if you can’t get off all the dirt from your crops. You’ll be getting more soil based probiotics which is what we need most. Most probiotics you can get in a pill or from fermented stuff isn’t soil based. The best way to get soil based probiotics is to eat a little soil still left on your crops before you eat them. Just be sure to use the highest quality soil in your square foot gardens and do your own composting. The whole point of a garden is to grow food that you actually eat. It’s easy to get in a routine of tending to your garden and have it be self sustaining with the drip line and all but the whole point is that you’re growing food to eat for you and your family. So try not to let backyard gardening turn into a drag or a chore – let it be a fun thing and actually eat what you’re spending all your precious time and water growing. Anyone whose grown zucchini before knows how to experiment with different recipes because once your zucchini starts to take off, you’ll have a hard time keeping up with cooking it all. You’ll also go crazy if all you do is make zucchini noodles for your spaghetti alternatives. Try to use your zucchini (or other veggies) in recipes you’ve never tried before. Feel free to have fun and experiment and if something turns out terrible – well now you know to never try it again. Like I said at the beginning of this post, we converted our deep box that was intended for root veggies into a flower garden for our 2yr old. At the beginning of March we went out there and my wife helped our daughter plant a bunch of flower seeds we picked up from the store. So far it’s been really cool to see the flowers grow and for her to get excited about her garden. Our daughter is also really into the raspberries and strawberries we have growing. We pick them right off the plant or vine and we eat them right there on the spot. Getting your kids involved with a backyard garden is a really fun thing to do that gets you outside the house and into the dirt and sun. 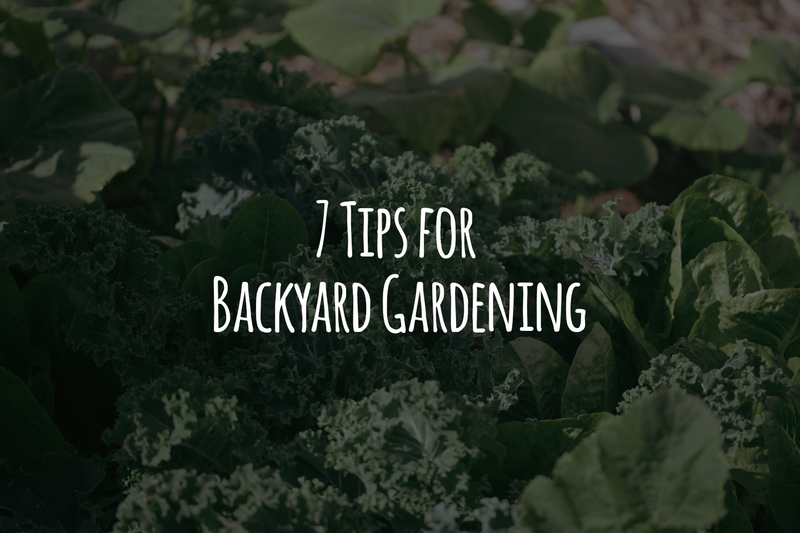 Hopefully you found some of these tips helpful and will inspire you to get started on a backyard garden! If you have any tips for growing a backyard garden feel free to share them in the comments below. Thanks for reading!